Luci is a chartered psychologist and Reader in Psychology who conducts clinical research into sleep, its disorders and treatments and the effects of sleep disruption on daytime functioning. She has focussed on the sleep patterns of children and adolescents and their families, taking a special interest in children with neurodevelopmental disorders. She has published her work in a variety of scientific journals, co-edited an internationally authored book about sleep disruption and its treatment in children with neurodevelopmental disorders and has been an invited keynote speaker at scientific meetings in the UK and overseas. Luci also regularly delivers teaching to undergraduate and postgraduate students and training in sleep and its assessment and management for professionals and parents. She is currently an Associate Editor for the Journal of Sleep Research. Luci’s main roles in the CASTLE project are helping to develop and evaluate an online intervention, specifically for parents of children with epilepsy who have sleep difficulties. 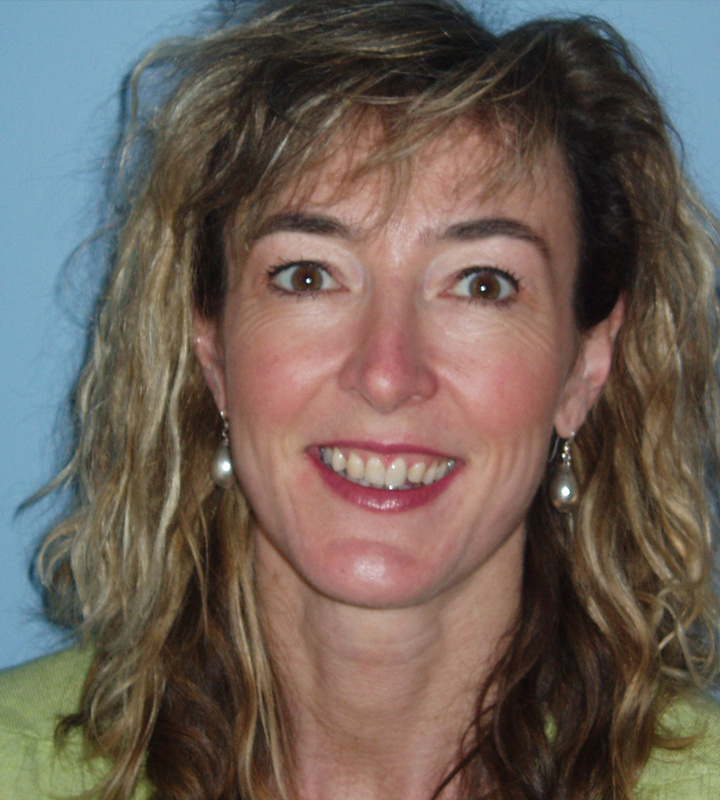 She has previously served as a board member of the British Sleep Society’s Executive and Scientific Committees and the European Paediatric Sleep Group as well as Chairing the European Sleep Research Society’s Education Committee and the British Sleep Society Paediatric Group. Sleep disorders and their management in children, especially psychological interventions. Wiggs L and Stores G (1995) Children’s sleep: how should it be assessed? Association for Child Psychology and Psychiatry Review and Newsletter, 17, 153-157. Wiggs L and Stores G (1996) Severe sleep disturbance and daytime challenging behaviour in children with severe learning disabilities. Journal of Intellectual Disability Research, 40, 518-528. Wiggs L and Stores G (1996) Sleep problems in children with severe learning disabilities: what help is being provided? Journal of Applied Research in Intellectual Disabilities, 9, 160-165. Wiggs L and Stores R (1996) Sleep education in undergraduate psychology degree courses in the UK. Psychology Teaching Review, 5, 40-46. Wiggs L and Stores G (1998) Behavioural treatment for sleep problems in children with challenging behaviour and severe learning disabilities: effect on sleep patterns of mother and child. Journal of Sleep Research, 7, 119-126. Wiggs L and Stores G (1998) Factors effecting parental reports of the sleep patterns of children with severe learning disabilities. British Journal of Health Psychology, 3, 345-359. Brylewski J and Wiggs L (1998) A questionnaire survey of sleep and night time behaviour in a community based sample of adults with learning disability. Journal of Intellectual Disability Research, 42, 154-162. Stores G and Wiggs L (1998) Sleep disorders and behaviour disturbance in children with epilepsy: a controlled study. Child: Care, Health and Development, 24, 5-19. Stores G and Wiggs L (1998) Abnormal sleep patterns associated with autism. Autism, 2, 157-169. Stores G and Wiggs L (1998) Clinical services for sleep disorders. Archives of Disease in Childhood, 79, 495-497. Stores R and Wiggs L (1998) Sleep education in clinical psychology courses in the UK. Clinical Psychology Forum, 119-14-18. Ellis A, Wiggs L, Stores G, Crawford C and Thomson A (1998) Sleep and psychological disturbance in nocturnal asthma. Archives of Disease in Childhood, 78, 413-419. Stores G, Crawford C, Selman J and Wiggs L (1998) Home polysomnography norms for children. Technology and Health Care, 6, 231-236. Wiggs L (1999) Psychological assessment of children in the evaluation of drug effects. International Journal of Pharmaceutical Medicine, 13, 29-33. Wiggs L and Stores G (1999) Behavioural treatment for sleep problems in children with challenging daytime behaviour and severe learning disabilities: effects on daytime behaviour. Journal of Child Psychology and Psychiatry, 40, 627-635. Brylewski J and Wiggs L (1999) Sleep problems and daytime challenging behaviour in a community based sample of adults with learning disability. Journal of Intellectual Disability Research, 43, 504-512. Matyka K, Wiggs L, Pramming S, Stores G and Dunger D (1999) Cognitive function and mood after profound nocturnal hypoglycaemia in prepubertal children with conventional insulin treatment for diabetes. Archives of Disease in Childhood, 81, 138-42. Owens JL, France KG and Wiggs L (1999) Behavioural and cognitive-behavioural interventions for sleep disorders in infants and children: a review. Sleep Medicine Reviews, 3, 281-302. Wiggs L and France K (2000) Behavioural treatments for sleep problems in children and adolescents with special needs: a review. Sleep Medicine Reviews, 4, 299-314. Ramchandani P, Wiggs L, Webb V and Stores G (2000) A systematic review of treatments for settling problems and night waking in young children. British Medical Journal, 320, 209-213. Matyka K, Crawford C, Wiggs L, Dunger D and Stores G (2000) Alterations in sleep physiology in young children with insulin-dependent diabetes mellitus: relationship to nocturnal hypoglycemia. Journal of Pediatrics. 137 (2), 233-238. Wiggs L (2001) Sleep problems in children with developmental disorders. Journal of the Royal Society of Medicine, 94, 177-179. Wiggs L and Stores G. (2001) Behavioural treatment for sleep problems in children with severe intellectual disabilities and daytime challenging behaviour: effect on mothers and fathers. British Journal of Health Psychology, 6, 257-269. Cassidy LE, James A and Wiggs L (2001) The prevalence of psychiatric disorder in children attending a school for emotional and behavioural difficulties. British Journal of Special Education, 28, 167-173. Montgomery P, Stores G, Wiggs L (2004) The relative efficacy of two brief treatments for sleep problems in young learning disabled (mentally retarded) children: a randomised controlled trial. Archives of Disease in Childhood, 89 (2) 125-130. Bryant B, Mayou R, Wiggs L, Ehlers A, Stores G (2004) Psychological consequences of road traffic accidents for children and their mothers. Psychological Medicine, 34, 335-346. Wiggs L and Stores G (2004) Sleep patterns and sleep disorders in children with autistic spectrum disorders. Insights using parent report and actigraphy. Developmental Medicine and Child Neurology, 46, 372-380. Johnson H, Wiggs L, Stores G, Huson S (2005) Psychological disturbance and sleep disorders of children with neurofibromatosis type 1. Developmental Medicine and Child Neurology, 47, 237-242. Richdale, A., & Wiggs, L. (2005) Behavioral approaches to the treatment of sleep problems in children with developmental disorders. What is the state of the art? International Journal of Behavioral and Consultation Therapy, 1, 165-189. Wiggs L, Montgomery P, Stores G (2005) Actigraphic and parent reports of sleep patterns and sleep disorders in children with subtypes of attention deficit hyperactivity disorder. Sleep, 28, 1281-1289. Stores G, Montgomery P & Wiggs L (2006) The Psychosocial Problems of Children With Narcolepsy and Those With Excessive Daytime Sleepiness of Uncertain Origin. Pediatrics, 118, e1116-e1123. Wiggs L (2007) Are children getting enough sleep? Implications for parents. Sociological Research Online, Volume 12, Issue 5. Gregory, A.M., Willis, T.A., Wiggs, L. Harvey, A. G. and the STEPS team. (2008). Pre-sleep arousal and sleep disturbances in children. Sleep, 31, 1745-1747. Wiggs L (2009) Behavioural aspects of children’s sleep. Archives of Disease in Childhood, 94, 59-62. Barnes J, Connelly V, Wiggs L, Boubert, Maravic, K. (2010) Sleep Patterns in Parkinson’s Disease Patients with Visual Hallucinations International Journal of Neuroscience. International Journal of Neuroscience, 120, 564–569. Barnett AL & Wiggs L (2011) Sleep behaviour in children with developmental co-ordination disorder. Child: care, health and development, 38, 403-411. Gringras P, Green D, Wright B, Rush C, Sparrowhawk M, Pratt K, Allgar V, Hooke N, Moore D, Zaiwalla Z and Wiggs L. (2014) Weighted Blankets and Sleep in Autistic Children – A randomised controlled trial. Pediatrics, 134(2), 298-306. Wiggs L (2015) Daytime napping in preschool-aged children; is it to be encouraged? Archives of Disease in Childhood, Apr 15. pii: archdischild-2014-307614. doi: 10.1136/archdischild-2014-307614. [Epub ahead of print]. Wiggs L, Sparrowhawk M, Barnett A (2016). Parent report and actigraphically defined sleep in children with and without DCD; links with fatigue and sleepiness. Frontiers in Pediatrics. 4, 81. Stores G and Wiggs L (Eds) (2001) Sleep Disturbance in Disorders of Development: Its Significance and Management. MacKeith Press: London. Stores R, Wiggs L and Stores G (2000) Service issues for the management of sleep disorders in children with severe learning difficulties. In Positive Issues for People with Learning Difficulties (Bage R and Jeffereys K eds.). Macmillan Publishers: Basingstoke. Macmillan Press Ltd: Hampshire. pp 132-146. Wiggs L and Stores G (2001) Sleeplessness. In: G Stores, L Wiggs (eds) Sleep Disturbance in Children and Adolescents with Disorders of Development: its Significance and Management. London: Mac Keith Press, 24-29. Wiggs L and Stores G (2001) General aspects of sleep and intellectual impairment. In: G Stores, L Wiggs (eds) Sleep Disturbance in Children and Adolescents with Disorders of Development: its Significance and Management. London: Mac Keith Press, 47-52. Stores G and Wiggs L (2001) Sleep disturbance: a serious, widespread, yet neglected problem in disorders of development. In: G Stores, L Wiggs (eds) Sleep Disturbance in Children and Adolescents with Disorders of Development: its Significance and Management. London: Mac Keith Press, 3-9. Stores G and Wiggs L (2001) Sleep problems and sleep disorders: general. In: G Stores, L Wiggs (eds) Sleep Disturbance in Children and Adolescents with Disorders of Development: its Significance and Management. London: Mac Keith Press, 15-23. Wiggs L (2007) Sleep Disorders. In: Carr A, McEvoy J, O’Reilly GE, Keegan M (eds) ‘The Handbook of Intellectual Disability and Clinical Psychology Practice’. London: Brunner-Routledge. 371-421. Wiggs L (2012) Sleep Disturbance and Learning Disability. In: Morin, C. M. and Espie, C. (2012). The Oxford Handbook of Sleep and Sleep Disorders. New York: Oxford University Press. Pp 765-797. Wiggs L (2015) Sleep Disorders. In: Carr A, Noonan Walsh P, Lineham C, McEvoy J, O’Reilly GE (eds) ‘The Handbook of Intellectual Disability and Clinical Psychology Practice’ (2nd edition). London: Brunner-Routledge. Wiggs L (2003) Paediatric sleep disorders: the need for multidisciplinary sleep clinics. International Journal of Pediatric Otorhinolaryngology, 67S1, S115-S118. Wiggs L, Crawford C, Stores G and Thomson A (1994) Psychological effects of abnormal sleep in children with asthma. The European Respiratory Journal, 7 (S18) 92. Wiggs L (1996) Sleep problems and daytime behaviour in children with severe learning disabilities. University of Oxford. (D.Phil. thesis). Stores G, Crawford C, Selman J, Wiggs L (1998) Home polysomnography norms for children: comparison with laboratory norms. Journal of Sleep Research, 7 (S2) 262. Stores R and Wiggs L (1998) Sleep education in clinical psychology courses in the UK, Journal of Sleep Research, 7(S2) 263. Wiggs L and Stores G (2000) Sleep disorders in children and adolescents with autistic spectrum disorders. Journal of Sleep Research, 9 (S1) 209. Wiggs L and Stores G (2000) Actigraphic data of children and adolescents with autistic spectrum disorders. Journal of Sleep Research, 9 (S1) 209. Wiggs L and Stores G (2002) Child and Maternal factors associated with sleeplessness in children with autism. Journal of Sleep Research, 11 (S1) 252. Montgomery P, Stores G and Wiggs L (2002) The development of an effective primary care treatment of severe sleep disorders in children with a learning disability: a randomized controlled trial. Journal of Sleep Research, 11 (S1) 156. Montgomery P, Wiggs L and Stores G and (2004) Sleep disturbance in children with attention deficit hyperactivity disorder: an actigraphic study. Journal of Sleep Research, 13 (S1) 510. Wiggs L, Montogomery P and Stores G (2004) Parent report and actigraphy: sleep patterns in children with attention deficit hyperactivity disorder. Journal of Sleep Research, 13 (S1) 799. Wiggs L and Stores G (2006) A randomised controlled trial of behavioural intervention for sleeplessness in children with autism spectrum disorders. Journal of Sleep Research, 15, S83.